The bell rings and you slowly turn around to walk back to your corner but your legs are heavy, filled with lead. You manage to drag yourself over to the corner and slump onto the haven that is your stool. The cold water hits the back of your head as your trainer pours it on top of you, your eyes focus on the figure in front of you. The trainer tells you it’s time for the last round, you’re behind on points, it’s now or never, victory or defeat, you need to knock the other man out. Taking deep breathes you make your way to your feet as the bell rings signalling the beginning of the end. Your opponent charges towards you, sensing all is not right. Your guard is up but a couple of jabs sting your face, then a right hook shakes your soul to its very core, you feel yourself stagger but find your feet at the right time. The opponent comes at you again looking to finish the fight. Then, in a heartbeat everything slows down, the deafening noise of the crowd fade out, no longer can you hear your trainer barking instructions, you see your opponent pull back his left arm aiming a monster left hook directly at your jaw. You duck your head underneath. You throw your right hand, the impact on the other warriors skull can be felt all the way down your arm. His head jars sideways, his legs turn to jelly and he falls to the floor with a sickening thud, his head bouncing off the blood stained canvas. The referee waves his hand in the air signalling the end of the fight. You have done it, against all the odds. You are the Champion. 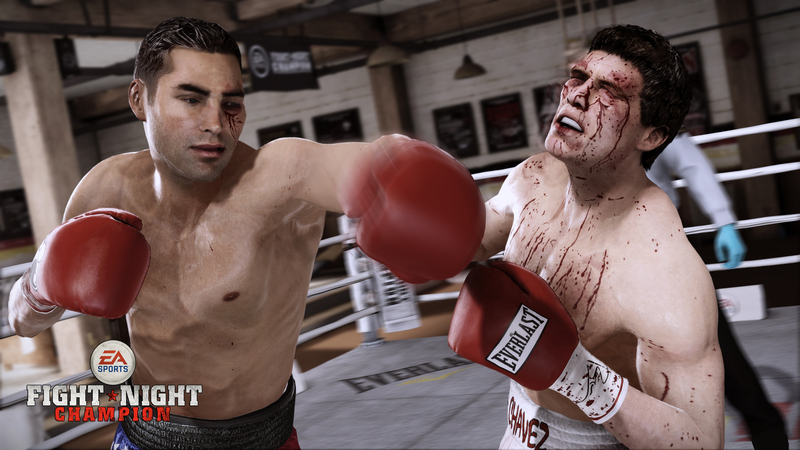 Fight Night Champion is the latest boxing offering from EA sports. 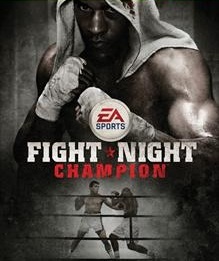 During the two year gap after Fight Night Round 4 EA has been working on trying to revolutionise the boxing genre. And in a way, they have succeeded. The newest addition to FNC is Champion Mode. The name may not be original but the idea, for a sports title, certainly is. 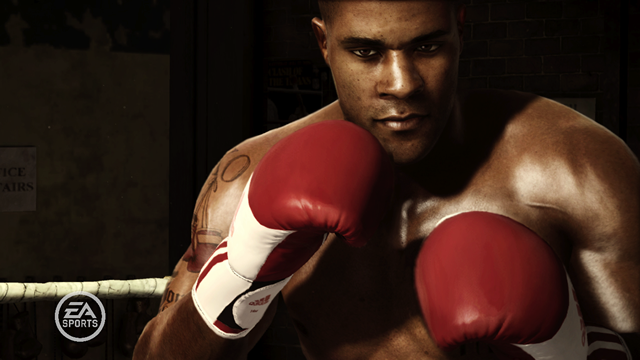 You take control of Andre Bishop in a battered ring surrounded by prisoners. Andre is in prison, fighting against another prisoner in a bare knuckle, no rules fight. The first man who is unable to stand is the loser. Andrew wins the fight but soon after is attacked by his opponent’s cronies in a brutal beat down that involves a lot of blood and finally a boot to the face. This then allows the story to be told of how Andre went from being a promising up and coming boxer winning the Amateur world championships, winning his first few professional fights, to being in prison mixing it with the bottom of society. It’s a fantastic story that wouldn’t seem out of place in a Hollywood movie. There is the crooked boxing promoter, D.L McQueen who looks to take Andre under his wing, but Andre is loyal to his manager. There is the love interest, which happens to McQueen’s daughter. Andre’s younger brother is also a promising boxer and signs with McQueen. The ingredients are there, and it delivers. When I first heard about Champion mode I was a bit sceptical. All I was really looking for in the game was an improved career mode and a bigger selection of licensed fighters to choose from. After playing through champion mode I can quite clearly say that it helps rejuvenate what had become a stagnating franchise. Champion mode not only has huge ramifications for Fight Night, it opens the door for other yearly sport franchise games, your FIFA’s, Maddens, PGA Tour (minus Tiger). Fans of these games buy the game year after year hoping for some slightly improved graphics and new animations but this could change what people expect from a sports title. Having the story of Andre’s life in the back of your head when you take to the ring helps bring that sense of realism to what can sometimes feel like an arcade style brawl. You want to win the fight for Andre and his trainer. You feel sorry for Andre, a man who was on the up destined for greatness until it all came crashing down around him. I don’t think I have ever felt anything for a character in a sports game, it feels good. Helping Andre come through the pain is a refreshing and rewarding experience; it’s unlike anything I have played in a sports title. The scripted nature of Champion mode also helps throw in some new gameplay scenarios as opposed to a series of matches where you have to win the fight. In one fight Andre breaks his hand after landing a big overhand right in the first round. You take over as the second round begins and are warned that you can only use your left hand. It just helps bring something different to the table. Another example is a matchup where the referee has been paid off by McQueen and starts calling low blows even though you don’t go anywhere near the downstairs zone. This makes you change your game plan and wait for your opponent to make a mistake so you can target the head. Not only does it keep the gameplay fresh but it also helps train you. When it comes to playing online or offline multiplayer you are ready to mix your game up against whatever type of opponent is put before you. The controls also help keep you engaged with the action. Movement is controlled via the left analogue with punches mapped to the right analogue stick, shoulder buttons and triggers are retained for power, block and movement modifiers. All of these have been refined somewhat from the last game and for the better. The new punching system (given the snappy title of Full Spectrum Punch Control) means you no longer have to wind up punches. Flick the stick up and you throw a jab / straight. Flick it left or right and there’s a hook. It helps you make easier decisions and have more control over exactly what punch you throw. It also helps that you can now block and punch at the same time. It sounds a minor thing but makes a massive difference. Playing as a slightly weaker opponent keeping covered up and protecting yourself is of vital importance. Go in without any guard and you will hit the canvas and not get back up. This shows that EA have listened to the community, people have been looking for a slightly less clunky way of throwing punches and it has been included. Graphically FNC is stunning. The character models are life like, muscles bulge and react with every movement. Expressions change depending on how the fight is going, sweat drips and blood pours. My god does the blood pour. 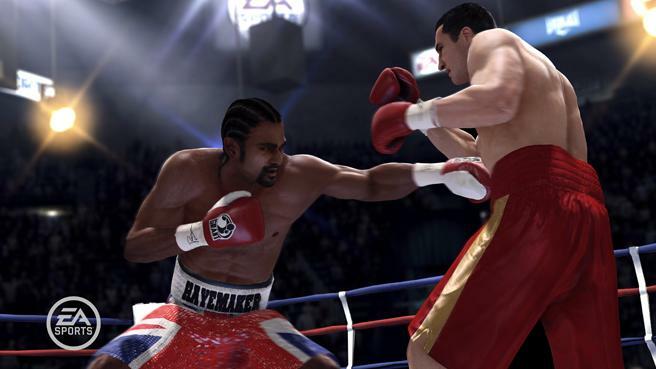 This is by far the most brutal imagining of boxing you have seen on a console. After each fight you can see the damage that has been done during the previous rounds, swelling and bruising looks painful and the character faces tell the story of what has gone on in the ring. The blood effects are some of the best I have seen, little cuts turn into big cuts with blood pouring down the bodies staining the shorts of both fighters, again helping to add to the experience that you are the fighter in the ring. There are a couple of hiccups mind you. The slow motion replays after a knockdown look very impressive until the final punch lands and a lot of the time it doesn’t look like it lands which is a big shame, replaying big punches, watching the opponents face ripple with the force, especially in multiplayer matches, is one of the best parts. So while FNC seems to be a game that has taken massive steps forward in certain department one certain area has been left to rot: Legacy Mode. Legacy mode lets you create your own boxer, or take one of the 50 licensed boxers from amateur champion all the way through their career to try to earn the moniker of “The Greatest of All Time”. You start off by taking part in an amateur tournament, winning gives you a booster to use on your statistics for the future. Statistics are improved by earning XP through training mini games in the weeks leading up to scheduled fight, do well in the mini games and the more XP you earn to improve your fighter. The problem is, it isn’t fun, the mini games are the same, or similar to previous games and they were awful back then. There is nothing about legacy mode that tempts you in to carry on, having “just one more fight” before hanging up the gloves for the evening. It’s as if all efforts were focussed on bringing the great Champion mode to life and forgot to touch Legacy mode. The issue they have created by doing this is that Legacy mode is where the meat of the game is. Champion mode is a 6 hour intense story with limited replayability. Legacy is there to occupy your time, grinding and working your way up to the top of the game but without any fun there is no way people will want to invest too much time in it. You also have online multiplayer which is as solid as ever. You can take your legacy mode boxer or use one of the licensed pros into the online battlefield and pit your wits against players from around the world. Do well enough and you can earn a shot at various titles and call yourself the World Champion. One addition to the multiplayer is the addition of online gyms, these are effectively clans. You can create a gym, sign up fighters from the online world and fight against rival gyms for bragging rights. It’s a good idea that can take an individual game and turn it into something a bit more team based. It’s a nice addition and has been implemented pretty well. Solid story more that is unique to the genre. Beautiful graphics that help showcase the sweet science. A vast roster of talent from David Haye to Sergio Mora to choose from. Online gyms a welcome addition, helping to bring a clan feel to the multiplayer. Legacy mode is essentially the same as previous titles. I have had a fantastic time with Fight Night Champion. I cannot express how much of a step forward the introduction of Champion Mode is. It is a bit short at about 6 hours but this is where the Legacy mode should help add to the experience, unfortunately it doesn’t. At times FNC can make you feel like you are the person in the ring, that your life depends on how you do over the upcoming 36 minutes. But just like a right uppercut to the kidney it brings your down to earth and reminds you that you are sitting in front of a screen. I would definitely recommend picking the game up on a rental to try Champion Mode and if you are a fan of the online multiplayer then maybe a full purchase would be called for. I just hope that the next game brings more of the story mode but not at the neglect of the Legacy Mode. Great review Joe, sounds like they have taken a fair amount of inspiration from the last ‘ufc undisputed’ title. Would you agree? I think they needed to be aware of the UFC games, but i think it is just the natural progression of teh game that has led it down the brutal path. Also the flash knockouts aren’t as easy to score in FNC than they are in UFC.